Review originally published on The London School of Economics and Political Science. Author Thomas Barfield introduces readers to the bewildering diversity of tribal and ethnic groups in Afghanistan and ultimately finds governance was relatively easy in the country when power was concentrated in a small dynastic elite, but this delicate political order broke down in the nineteenth and twentieth centuries when Afghanistan’s rulers mobilized rural militias to expel first the British and later the Soviets. Matthew Partridge reviews. 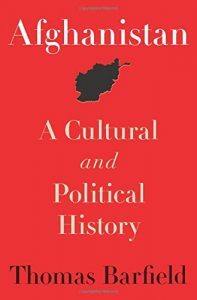 Afghanistan: A Political and Cultural History. Thomas Barfield. Princeton University Press. 2012. In contrast to the 2004 and 2008 U.S. presidential elections, both President Obama and his Republican challenger Mitt Romney have largely avoided any discussion of foreign policy during this year’s contest. Indeed, during the primaries, Herman Cain, briefly the frontrunner for the Republican presidential nomination, declared that, “When they ask me who is the president of Ubeki-beki-beki-beki-stan-stan I’m going to say, you know, I don’t know. Do you know?”. This behaviour is nothing new. As Thomas Barfield points out in his book, Afghanistan: A Political and Cultural History, despite (or possibly because of) two Afghan wars, the Victorians invented the term “Afghanistanism” for those who they thought placed too much emphasis on foreign affairs. After an opening chapter detailing the geography, societal structure and ethnic composition of Afghanistan, Thomas Barfield spends the next three sections giving a narrative history of the Central Asian state, from early modern times to the present day. Finally, he ends with a brief concluding chapter. Barfield believes that the core lesson, or “master narrative”, of Afghan history is that the country has always been a collection of regions rather than a coherent nation state. Although many powers have tried to change things from the centre, these attempts have had limited success outside the capital. Even when the changes came from Afghan politicians, rather than foreign powers, they had a very limited impact. 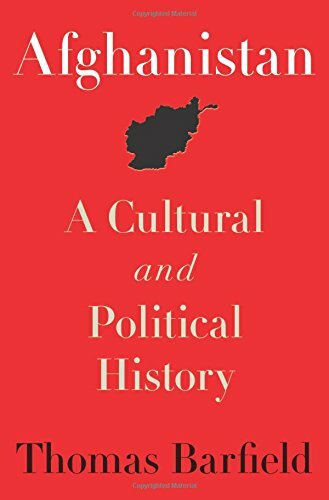 For instance, Barfield claims that the achievements of Abdur Rahman, who is widely credited with creating the modern Afghan state, were “ephemeral – political changes imposed from above at great cost that appeared transformative but were not” (p.161). Similarly, his grandson Amanullah, succeeded in discouraging the veil in Kabul, but his policies ironically insured that its use spread in the villages, where it became a status symbol. Rahman’s successors would be even more impotent. Indeed, they “declared their government all-powerful, but rarely tested that claim by pursuing controversial policies” (p.162). Barfield believes that Afghanistan works best in a federal structure with a large amount of power devolved to the outlying regions. He therefore contends it, “requires less reliance on a Kabul government and more emphasis on Afghanistan’s key regions”. This is clearly not the preferred policy of the current President Hamid Karzai. However, Karzai’s corruption and his perceived dependence on the United States will doom his attempts to cling on to power after NATO troops leave. The subsequent vacuum may lead to civil war and regional conflict. In the worst case scenario it is possible that Afghanistan will not survive as a unitary state” (p.342). Indeed, any hope of modernization and progress may come from economic, not political changes. Recent road connections with India may reduce the reliance on Pakistan, and encourage the development of trade links with the outside world. The successful exploitation of mineral reserves may generate substantial wealth, and speed the process of outside cultural influences. Urbanisation is another trend worth watching. “Cities are money economy crucibles that break down qawm [basic social unit of Afghanistan] and regional solidarity groups by empowering individuals. The political and social movements that they generate will become dominant as the century progresses” (p. 347-348). This is certainly an interesting thesis. However, the evidence may suggest that Barfield’s own narrative overstates his case. After all, even though their policies were a mix of Salafism and Pashtun tribal codes, the Taliban were able to impose their twisted values across virtually all of Afghanistan, including areas with different ethnicities and traditions. The book sees all foreign attempts to change Afghan society as futile and leads to claims that the Soviet intervention from 1979-89, and the current NATO mission were morally equivalent. Overall, this is a detailed, but concise, introduction to the topic. However, his core argument is extremely contentious. Dr Matthew Partridge completed a PhD in Economic History in 2011 at the London School of Economics. A senior writer for MoneyWeek, he has also written for The Guardian, Times Higher Education and the websites of Prospect and New Statesman.